Andrew McGavin Designs is a small company based in Fort William in the Scottish Highlands. Andrew specialises in high quality, hand crafted gifts based on ancient Celtic art. I design and hand make all my products in a small workshop here in the Highlands of Scotland. I am a graduate in Industrial Design, which gives me a range of skills I combine to hand make gifts that are original in both design and concept. Elements from ancient Celtic stone carvings are integrated with modern techniques to produce a range of products with appeal to a wide range of customers. Every part of my production, from the initial design through to despatch is done by me, allowing complete control over every stage of your order. Celtic design is an ancient art form, but there is a sense of mystique surrounding Celtic Art which means that it has a timeless appeal. People from all age groups and cultures can appreciate the intricacy and beauty of these designs and feel a connection to an ancient age. 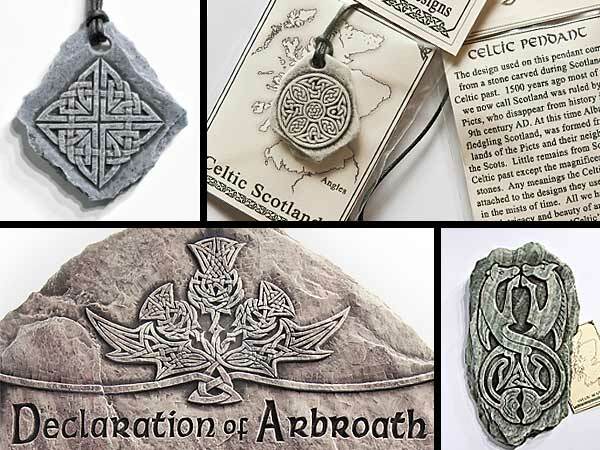 My products use many different Celtic designs inspired by stones carved during Scotland’s Dark Ages.